For the last 12 years, I’ve been involved with an amazing week-long writing conference that takes place every June in Utah. This conference is quite unique here in the western part of the United States. It offers a small critique-group setting for unpublished writers. Writers the opportunity to work for 20 plus hours on their writing and publishing skills. As well, attendees get to meet in classroom-type settings to work on craft with any number of published writers, illustrators, publishers and agents. They have the chance to submit work to publishing houses for up to a year after the conference adjourns. Being able to meet with professional authors, agents, editors, improve participants writing and illustrating, perfect their craft, possibly publish and improve in an intimate social setting are just a few of the goals that this conference strives to give attendees. As conference organizers, our goal is to help attendees learn all they can about publishing for children and young adults. As well, I hope that participants learn the craft of writing and illustrating for children, learn what is considered good, strong writing for children, and work toward publishing excellent books for young readers. That people can continue to hone their skills because of they learned while at the Writing and Illustrating for Young Readers—after participants have left and are writing on their own, is another expected learning outcome. Below are a few of the classes that still have openings left. As well, there short bios of our agent and editors. 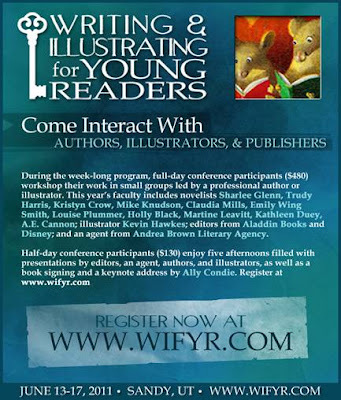 Feel free to look over the website (www.wifyr.com) or send me any questions you might have about the conference at(writingforyoungreaders@gmail.com). Carol Lynch Williams is the author of more than 20 novels for middle-grade and young adult readers. 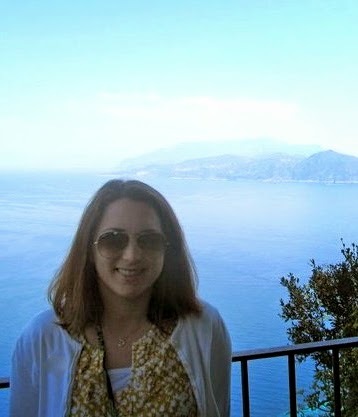 Her titles include The True Colors of Caitlynne Jackson, If I Forget, You Remember, The Chosen One and Glimpse. 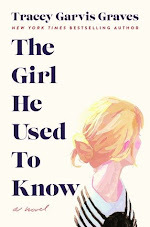 Miles from Ordinary is her newest book and comes out in March 2011. She has two books due out soon including a dystopian novel called The Body Shop. Claudia Mills is the author of over 40 books for young readers, including picture books (Ziggy's Blue-Ribbon Day), easy readers (the ten books of the Gus and Grandpa series), chapter books (7 x 9 = Trouble!, Being Teddy Roosevelt, How Oliver Olson Changed the World), and middle-grade novels (The Totally Made-Up Civil War Diary of Amanda MacLeish, One Square Inch). How Oliver Olson Changed the World was named an ALA Notable Book of the Year, as well as a Blue Ribbon book by the Bulletin from the Center for Children's Books. Claudia, what can your students look forward to in your workshop for Middle Grade Novels? "The workshop will give participants an intensive and supportive environment in which they can work closely with an experienced writer/teacher and highly motivated classmates to make enormous and significant improvements to their manuscripts-in-progress. We will focus together on such writing challenges as: creating a compelling beginning, establishing a contract with the reader, increasing tension and conflict through the middle of a book, developing theme while resisting the danger of didacticism, and bringing the story to a close in a way that is satisfying but not predictable or overly neat. 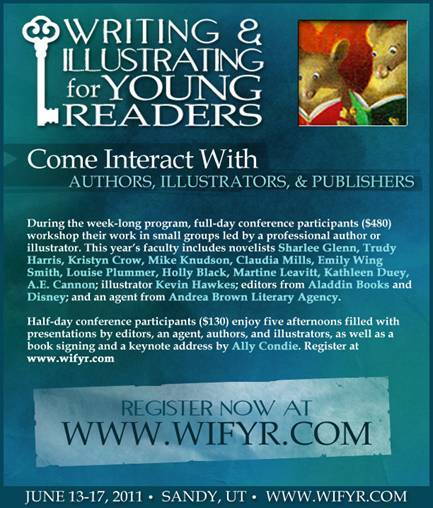 I have taught many times at WIFYR and have also worked one-on-one with aspiring writers through SCBWI's mentorship program in my home state of Colorado. I love seeing students experience that aha moment when they see how they can turn a good manuscript into one that is great." Claudia, what are some of your strengths as a teacher? "I think my main strength is that I have a gift for seeing the promise in a manuscript even in its early stages and helping the author to develop that promise in a way that is consistent with his or her own vision of what the book needs to be. I'm really good at loving things, even in their imperfect form." Do you have any advice for writers you'd like to share? "Whatever you put in the first half of a book should reappear somewhere in the second half of the book. If you have a crucial conversation in a book, try to have it take place against the backdrop of some worthy and evocative setting." Doesn't this conference sound great? I also noticed that Ally Condie and other incredible authors as well as editors will be involved. This sounds like a really worthwhile conference. If only I didn't have so many snow days to make up! If you'd like to learn more, please check out the website.